You know me, I love accessories, otherwise I wouldn’t be doing this…Like any other fashion blogger, every season I discover the new trends, I analyze them and then forget about the ones that don’t match my style. Obvious, no? Today I won’t tell you about every single trend of this fall regarding jewelry, but I will recommend you 5 that I consider an ‘investment’, meaning that you won’t forget about them next year. When I choose my jewelry, first of all, I choose them in many different styles, because to be honest, I get bored of wearing just one thing. I have them in different shapes and colors, so when the moment comes, I have plenty to choose from. Most of the times, you will see me wearing a statement necklace, sometimes a big ring, other times a bold bracelet, and always my watch, my engagement and wedding rings and earrings. When I’m wearing just these last ones, it means either I was in a hurry or I was lazy. Yes, a fashion lover/blogger/DIVA can be lazy too. These 5 you may already own, so in case you forgot about them, it’s time to bring them out. If you don’t have them at all, you’ll see that every single one is totally wearable, easy to mix, and many times an outfit “savior”. And I love an outfit “savior” that can turn a simple look into a stylish ‘head-turning’ one. The bigger, the stranger, the bolder the better…or statement jewelry in the spotlight again. 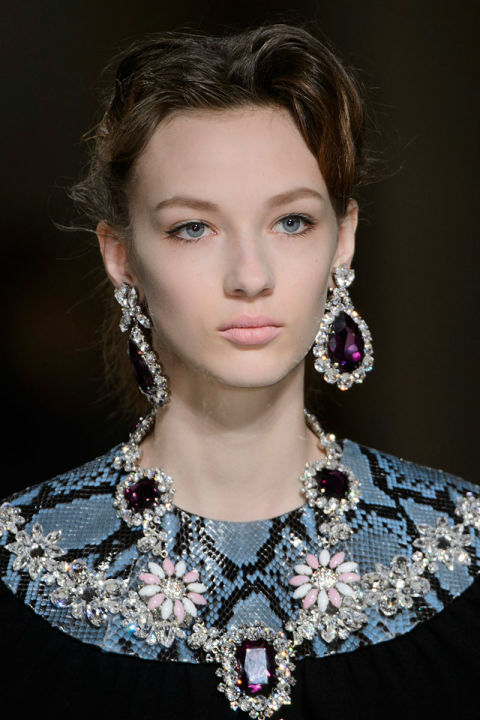 I told you how to wear statement jewelry a while ago, so just check this article for the main ‘rules’. 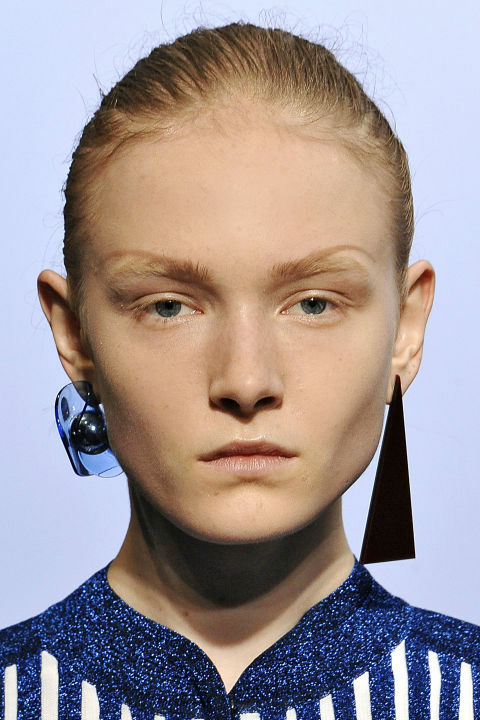 Whether it is about earrings, cuffs or necklaces, this fall continues to be about statements and getting noticed. The wonderful thing about statement jewelry, is that it does wonders on simple clothes. In fact, I think they were created especially to make the simplest casual outfit shine, because why not admit it, our wardrobes are filled with simple casual clothes. Yes, brooches! Your mother or grandmother might own some amazing pieces, so dig a little in their jewelry boxes and get those timeless pieces out, those classic ones filled with sparkling gems. 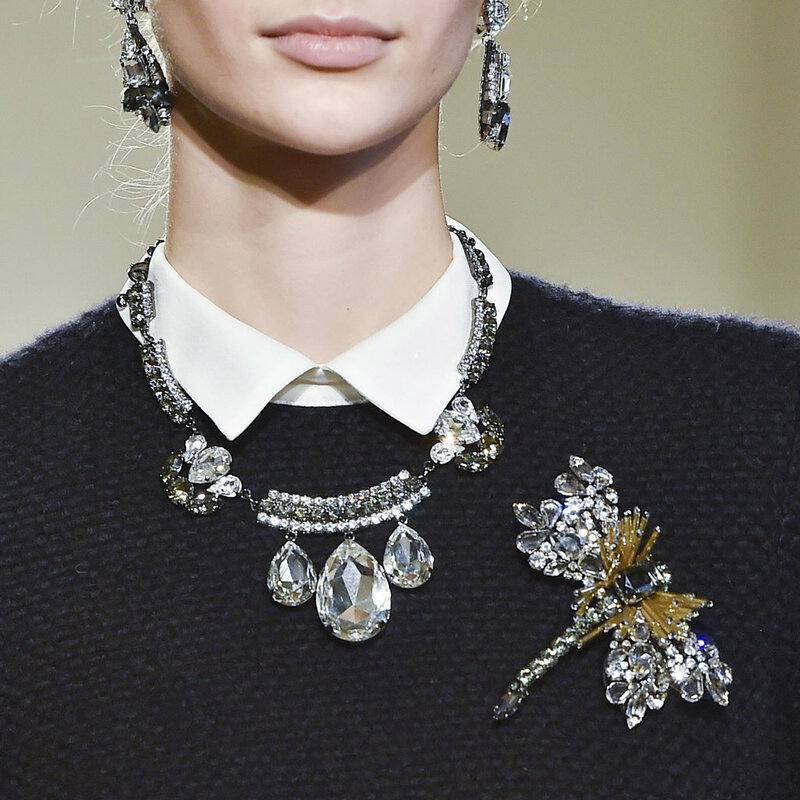 From classic to modern abstract shapes, big if you would ask me, brooches are in again. Good for them, because I have soooooo many. I’ve been wearing brooches for years, every season, and I recommend to apply the “rule of contrasts”: combine a classic sparkly one with modern clothes, or modern ones with classic outfits. You’re already seen fringe on bags, jackets, skirts, etc, why not jewelry too?! I would wear some metal or leather ones. Wouldn’t you? or ‘I’m the Queen of my closet’. In a few words, big, sparkly, complicated, full of embellishments and gems (precious or not). If you don’t like them, don’t wear them. Trends are just ideas, there are not rules, and you won’t receive a penalty for not being in trend. Don’t forget, Style is more important than any trend. All of these 5 suggestions will pass the test of time, so don’t worry about spending money, the economist side of me is absolutely sure you won’t regret it.